STEM scholars pay no tuition and fees for their associate degrees and receive specialized support from dedicated advisors and mentoring from the Women’s Center. Sumner Darling mapped out the entire Earth in elementary school. Jena Essary taught herself coding shortly after her 10th birthday. Breiten Liebell constructed a fully functional replica of a Ferris Wheel by memory as a 5-year-old. The high school students are among Tidewater Community College’s second class of STEM Promise Program scholars. Nineteen students will pursue science, technology, engineering and mathematics-related disciplines at TCC and complete two-year associate degrees at no cost for tuition and fees under the Women’s Center STEM Promise Program. 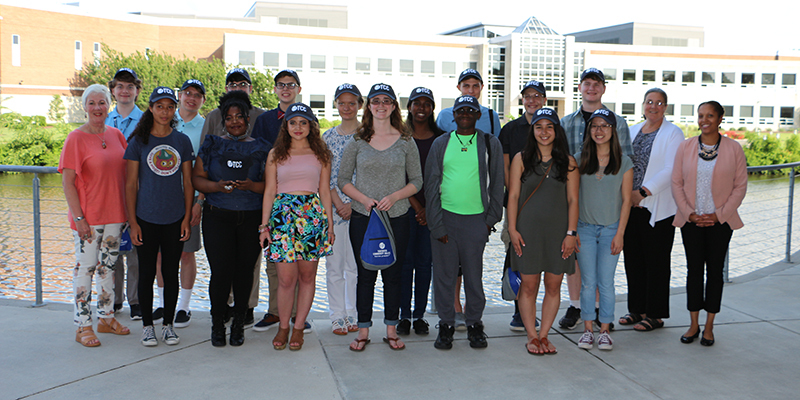 Last fall TCC welcomed the inaugural class of STEM Promise scholars who will graduate in spring 2019. Elizabeth River Crossings fully funded all 10 of those scholarships with a donation of $120,000. In addition to TCC’s smaller class sizes and interaction with professors invested in student success, STEM scholars receive specialized support from dedicated advisors and mentoring and career exploration from the Women’s Center. Anyone with an interest in applying to TCC’s STEM Promise Program should contact theEnrollment Team at 757-822-1111. Interested donors can contact the TCC Educational Foundation at foundation@tcc.edu.